We are excited to announce the ten companies that will be joining Techstars Class 143 – our 2018 Rakuten Accelerator powered by Techstars program in Singapore. We kicked off this week (July 16) and are looking forward to three months of awesomeness, capped off by Demo Day mid October. This is the first program with Rakuten and Viber as partners, and is one of the very first Techstars programs in Asia. Techstars is the Worldwide Network that helps entrepreneurs succeed, and strong partners and mentors help make this happen. We’re grateful for your support over the last couple of years and for this inaugural program and your continued time and guidance. We couldn’t do it without you. Participants in Rakuten Accelerator will also have access to resources from across Rakuten’s global ecosystem of more than 70 services, including Rakuten Viber messaging and voice platform. With hundreds of millions of users around the world, Viber also recently become the official communication channel of FC Barcelona and Official Instant Messaging and Calling App Partner of the Golden State Warriors. We are also excited to announce the leadership team for the Rakuten Accelerator: Managing Director Dhritiman Hui and Program Manager Dennis List. Dhritiman was most recently an Investment Director at Tuscan Ventures – an investment firm based in India, and prior to that an Investment Director BW Ventures, a global investment firm that funded both startups as well as provided growth capital to and brick-and-mortar companies. Dennis List is the former Partnerships and Program Manager for Impact Hub Singapore, and a tech entrepreneur who founded and was CEO of Rocki, a music tech startup which graduated Techstars Boston accelerator in late 2014. We love this city and know 2018 is going to be an amazing year for Techstars, Rakuten and Singapore! AI-based mobile lending for the unbanked in Asia. AND Global issues over 500,000 loans annually to tens of thousands of customers. Changing how people work on research and documents. Additor is a unified document collaboration platform for SMBs and freelancers. communicate via messaging platforms. Talk-A-Bot powers chat for some of Central Europe’s largest banks, utilities providers, and media companies. from small businesses to global agencies and brands like WPP, Omnicon, P&G, and Uber use Retarget Links to get the right banner ads in front of the right people. Reshaping how fans engage with sports through a next-generation digital experience platform. A unified payment platform that enables customers to pay schools, clinics and hospitals efficiently through their mobile phones. communication and property management. Elumium works with super prime residential developments and luxury hotel residences. Shoffr helps brands win customers back from e-com. We convert online missed sales to in-store footfall. Our white-labelled solution tracks online to offline customer journeys across social, chat, and web platforms. Using chatbots to connect millennials through AI, gamification and social networking. Rooit has over 300,000 users since launching in Taiwan in June 2017. An indie game studio focused on creating a world of mobile games with cute, lovable characters. Comet.ml: Comet.ml, which allows data scientists and developers to easily monitor, compare and optimize their machine learning models, completed a $2.3 million seed round led by Trilogy Equity partners in April 2018. Novel Effect: Novel Effect enables voice interactive storytelling by adding music, sounds, and even characters voices simply by reading a book out loud with their app. They closed a $3 million Series A investment round co-led by Alpha Edison, TenOneTen Ventures, and Waverley Capital in May 2018. Pulse Labs: Pulse Labs, which builds user experience testing solutions for voice developers, raised a $2.5 million seed round led by Madrona Venture Group in February 2018. Sensible Object: Sensible Object raised $3.2 million in June 2018 alongside the launch of When in Rome, the first Alexa-powered board game. Much like last year’s class, the companies selected showcase a wide range of voice innovation ranging from smart home technology to gaming, the enterprise, and more. This year’s program is already underway and will be packed with 12 weeks of hard work. The program culminates October 9th with Demo Night, giving participants an opportunity to pitch their business concept to top venture capitalists and angel investors and announce new Alexa product experiences. Don’t miss your chance to join us for the fun. Reserve your ticket now! We’re excited to welcome this second class to the Techstars community and look forward to the voice innovations they will bring to Seattle! I’m thrilled to announce Techstars Class 131 – the ten amazing companies participating in the very first Techstars Accelerator being run in partnership with industry leader Stanley Black & Decker (NYSE: SWK). The Stanley+Techstars Additive Manufacturing Accelerator begins today and culminates in an October 11th Demo Day at the Bushnell Theater here in Hartford, CT.
We selected companies from a pool of applications that came from 11 countries, with 50% from outside of the United States, and approximately 20% from the NE North Americas region. Our focus was on finding founding teams with the best mix of passion, talent, and drive, as well as the capacity for technical innovation within additive manufacturing. In the past 6 months, I’ve viewed countless applications from hardware, software and materials focused companies, traveled around the world and have been honored by the opportunity to meet with numerous, extremely talented, high-potential founding teams. Working to narrow down to the ten companies we thought would most benefit from the accelerator was not an easy task, and so I’m incredibly excited to reveal that the companies we selected are from Ireland, Israel, Canada and the US. This program is my first as Managing Director, the first for the city of Hartford, the first for Stanley Black & Decker, and the first in the additive manufacturing vertical for Techstars. I’m already delighted by the fast-growing and supportive mentor community here in Hartford, and am proud of the strength of the companies and the diversity of their offerings and teams. I am confident that this is going to be an amazing year for the companies, for the city of Hartford, for Stanley Black & Decker, and for Techstars! Cloud Platform Designed to empower everyone to make, create and print with 3D Printers. 3D printing company focused on ceramics. Focused on unlocking nano-material potential to make plastics electrically conductive. Focused on bringing together additive manufacturing, photogrammetric processing, and designers from around the world to innovate in the consumer industry. We are thrilled to announce Techstars Class 139 – the ten companies that will be joining Techstars LA for the 2018 program, which kicks off today and concludes in October. The new class will follow in the footsteps of the Techstars LA class of 2017, which raised a collective $13mm following Techstars and have created over 50 new jobs in the LA area. 2017 alums include local companies Stackin, Slingshot Aerospace, Directech Labs, Heartbeat, Playfull, Blue Fever and Avisare, as well as SF based Liv and Columbus based PopCom. Continuing our LA ecosystem investment focus, eight of the ten 2018 companies selected are based in the greater LA area. We’ve been impressed by the breadth and depth of talent in the thriving local startup ecosystem. All told, we met with over 400 companies, over half of them local to southern California. In furtherance of our commitment to investing in diverse teams, 60% of the companies in the 2018 class are led by CEOs from underrepresented communities. At the company level, every company in the class has women or other underrepresented individuals on the team. Business model themes are marketplace, e-commerce and B2B SaaS, and these companies are building businesses in sectors from digital security to handmade men’s shoes. While their businesses and backgrounds are diverse, what we looked for in the founders was a common set of traits: growth mindset, determination, humility, and passion. These are leaders that have inspired us to share their vision and we are thrilled to have the opportunity to help them accelerate. We’re confident these founders will embrace the program theme of “personal growth drives company growth” and look forward to digging in with them and our amazing mentor pool. We received a large number of referrals this year and would like to thank Kara Weber, Gabe Greenbaum, Tami Holzman, Alex Rubalcava, Jenny Fielding, Devin Dixon and Kara Dake for referring companies that will be joining Techstars. We’d also like to thank all the Techstars alumni, particularly the Techstars LA class of 2017, for being great ambassadors and supporters of the program. Many others contributed to our recruiting process and we are very grateful to you all. And here are the companies of Techstars LA 2018! Best Food Trucks is reinventing the $30B office lunch market with a platform for offices to book & order ahead online from food trucks and mobile vendors. Blackstock & Weber is reinventing the men’s footwear shopping experience. B&W offers English made, classic styles that every man needs in his wardrobe at honest prices. Fernish is a furniture subscription service that creates a flexible and inspired home experience for an increasingly mobile society. NetCloak is the platform that protects the human endpoint by finding and securing high risk, publicly accessible personal data. Relovv is the new, sustainable fashion marketplace that matches buyers and sellers like a dating app to get more items sold and show you the items you’ll really love. #ReduceReuseRelovv. Launching in August, you can join the waiting list on relovv.com for a special gift. With over 1.5mm appointments booked, the Cut is the leading CRM tool and men’s grooming marketplace nationwide connecting barbers with their clients. Trellis arms attorneys with the intel they need to win motions and win cases by unlocking decades of court records with artificial intelligence and machine learning. See how judges actually think with Trellis. As one of the fastest growing content startups, Unity Influence offers e-commerce businesses a scalable process to produce customized marketing photos and videos at affordable prices. We are thrilled to announce Techstars Class 136 – the 2018 Techstars Farm to Fork Accelerator Class. Today, in St. Paul, Minn., these companies begin their work solving real problems across the entire food value chain, from food safety to supply chain management and restaurant efficiencies to the upcycling of food waste. The companies join the Techstars worldwide network, which includes more than 1,200 companies across the globe. In December, we announced our partnership with Cargill and Ecolab. Our goal is to build a world-class Techstars mentorship-driven Accelerator program focused on helping entrepreneurs solve some of the world’s biggest food challenges. The last six months have been a whirlwind of travel, scouting and meeting with hundreds of exceptional entrepreneurs from across the globe. The entrepreneurs powering these companies traveled to St. Paul from several states across the U.S., India, Canada and Brazil. While in Minnesota, the companies will have access to more than a hundred mentors, including business leaders and subject matter experts from Cargill, Ecolab and our amazing entrepreneurial community. Techstars is the worldwide network that helps entrepreneurs succeed, and I am excited to jump in to help this outstanding group take their businesses to the next level. Big Wheelbarrow makes it easy for companies to buy from local farms using the power of AI. dishq leverages food science and artificial intelligence to predict people’s tastes. We’re helping the industry with key challenges including recommendations and personalization, menu and product development, and insights and trends. EIO improves the lives of dairy farmers by early detection of illnesses in their animals. HeavyConnect allows every farm to eliminate paper bottle necks, from food safety compliance to hourly time-keeping. Induction Food System’s industrial heating technology helps food and beverage manufacturers improve efficiency and expand production with on-demand precision heating equipment. Pepr increases restaurant profitability using data intelligence and automation. Renewal Mill is building a more sustainable food system by harvesting byproducts from food manufacturing and upcycling them into high-quality ingredients and delicious products. 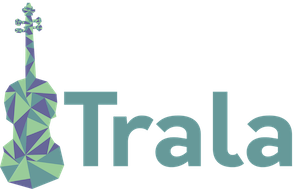 TradeLanes is a global trade market network that connects all trade participants into a single document chain over the lifecycle of an international trade shipment. This “single source of truth” saves exporters 30-80% on supply chain management. Traive enables affordable farming loans and profitable investment portfolios through an innovative data-driven credit risk assessment algorithm. Applications were received from 42 countries; the 10 participants selected represent six U.S. states and Israel. Techstars Atlanta, presented in partnership with Cox Enterprises, today announced Techstars Class 133 – the 10 companies that earned coveted spots in its startup accelerator program for 2018. Applications were received from 42 countries around the globe, and the chosen participants hail from six U.S. states and Israel. This is the third class of the Techstars program in Atlanta, which boasts a worldwide network of successful entrepreneurs and investors. Techstars Atlanta continues to be housed at Ponce City Market. Over 90 days of rapid acceleration, the entrepreneurs will build their business network, receive individualized support and learn the building blocks of a successful business – all while being embedded in Atlanta. The program kicks off with mentor madness, where more than 1,000 hours of mentorship is provided by the region’s leading subject matter experts. The program culminates in a Demo Day Oct. 15, where participants have a chance to pitch their unique business plan to hundreds of investors and community supporters. For a peek at Demo Day in action, check out this video of last year’s event. BigTeam (Atlanta, GA) | A platform that allows modern marketing, product, customer experience, and innovation teams to generate actionable feedback from employees, clients, and stakeholders. CaribShopper (Miami, FL) | A platform that enables underbanked customers in developing nations with the ability to participate in e-commerce by providing them with accessible cash-to-credit facilities and simplified freight-forwarding. Case Status (Charleston, SC) | An application that assists attorneys in keeping clients up-to-date on case status, allowing them to focus on more high-value work. Cemento (Tel Aviv, Israel) | A commercial real estate construction collaboration application for general contractors and subcontractors that provides visibility to all stakeholders to ensure that projects are delivered on time and on budget. CommissionTrac (Atlanta, GA) | A cloud-based software for commercial real estate firms that streamlines tedious back office accounting and commission management. Fixel (Tel Aviv, Israel) | A fully-autonomous platform that helps marketers create and manage more efficient customer segments by ranking them based on their level of engagement. Motivo (Chattanooga, TN) | An online platform that connects aspiring mental health professionals seeking licensure with clinical supervisors through live, HIPAA-compliant video. PadSplit (Atlanta, GA) | A solution for landlords that enables them to provide affordable shared living experiences to the workforce. PowerSpike (Albany, NY) | A platform that connects streamers with brands in a fully-managed eSports influencer marketing platform. SAWA (Cincinnati, OH) | A virtual graphic designer that allows teams to create consistent, branded designs for commonly needed communications. After having a full year of learnings under the belt, we remain steadfast to this thesis and our commitment to ensure Techstars Chicago is primarily known for being Intensely Founder Focused. The final result is 8 companies from the Midwest, with participation also coming from Toronto and NYC. We’d love to have you come see them in-person and will be hosting our Demo Day on October 4th in the Auditorium @ 1871. 2nd Kitchen: 2nd Kitchen allows businesses to serve food from nearby restaurants. 2ndKitchen enables businesses without a kitchen to serve food seamlessly using a custom menu from nearby restaurants. Because of short distances and order bundling, food is delivered to customers’ seats hot and fast. We have launched the concept with bars that do not have kitchens and we plan to test it with hotels (room service please! ), vacation/short terms rentals, co-working spaces, and offices. Clyde allows e-commerce stores to offer extended warranty/product insurance to customers at the point of sale. Our plug-in technology and network of insurance and administrator partnerships enables us to offer online businesses a passive revenue stream and transform a 6-month costly process into a 3-minute setup time. 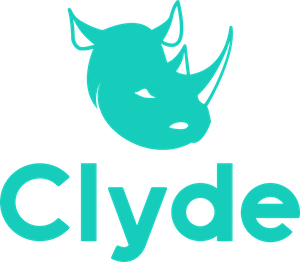 Clyde’s vision is to build the Stripe for insurance, providing businesses with tools and support and transforming the customer’s purchasing experience. 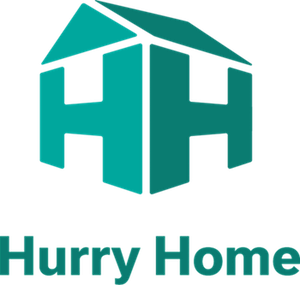 Hurry Home: Hurry Home finances houses through shared ownership, enabling renters to become homeowners and offering a streamlined investment opportunity. Hurry Home finances houses through shared ownership, enabling renters to become homeowners and offering a streamlined investment opportunity. Despite there being 3 million houses for sale in the bottom tier market at any given time, banks are unable to profitably originate mortgages for these properties. Hurry Home uses capital from investors to offer a new financial product that enables buyers to earn equity in their home while paying close to or less than what rent would be for the same property, and investors reap a competitive return. 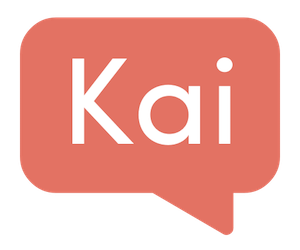 Kai Coach: Kai is a fitness coach that communicates 100% via text message. Kai is a fitness coach that communicates entirely via text message. Powered by augmented intelligence (humans and machines working together), Kai engages you in daily conversation about your goals and how your doing — physically and emotionally. With Kai, you get goal-setting, workouts, nutrition, and accountability, all for a fraction of the cost of a personal trainer. Neopenda: Neopenda is innovating medical devices for high-growth emerging markets, starting with a wearable vital signs monitor for critically ill newborns. Neopenda is innovating medical devices for high-growth emerging markets. We create end-to-end solutions that enable high quality patient care and nuanced data insights for stakeholders. Our first product is a wireless wearable neonatal vital signs monitor designed for resource-constrained health facilities. The affordable system enables more responsive & appropriate care for critically ill newborns, and ultimately helps reduce preventable newborn mortality. Optivolt: Optivolt Labs develops high efficiency solar powered drones for commercial and military clients to extend flight time by 3–4x. Optivolt Labs is optimizing the utility of efficient solar-powered technologies in drones and other electrical machines. 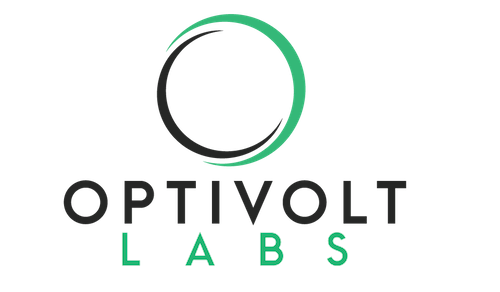 Optivolt Labs has developed a patent-pending power management algorithm which is optimized for solar to lithium ion/polymer battery applications. We are prototyping our technology to solve the battery life problem for commercial drone companies, increase the flight time of drones by 3–4x, and cut costs of commercial drone missions. Rheaply: Rheaply is a marketplace platform where businesses and professionals can share surplus assets and expertise. Rheaply enables professionals to trade, donate, or easily share surplus inventory or assets within their organization, and better collaborate with their colleagues. For every enterprise, Rheaply’s marketplace creates an internal circular economy which helps save money, reduce unnecessary waste, and increase collaboration. By building a shared economy for surplus resources, clients of Rheaply’s — from Northwestern University to Google X — can transact or donate surplus assets or easily collaborate on Rheaply’s marketplace. Speeko: Speeko is an artificial intelligence-powered mobile app that brings interactive verbal communication training to your workforce. Speeko is a public speaking measurement and enhancement tool. Leveraging artificial intelligence and automated voice analytics, Speeko assesses live or recorded presentations and provides speakers with objective feedback, actionable leadership insights and development tools to help them improve their verbal communications. Trala: Trala is a Juilliard-approved app that teaches users how to play the violin. Trala is a Juilliard-approved app that teaches users how to play the violin. The app uses instant feedback on mistakes, step-by-step tutorials, and daily lessons to teach absolute beginners how to play songs like Amazing Grace in 30 days. Compared to private instructors, the Trala app is 1/25th the price and accessible anytime in the comfort of one’s own home. 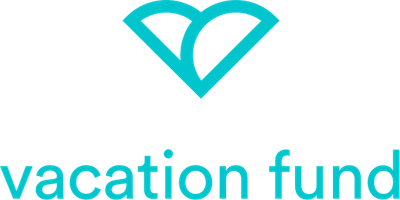 Vacation Fund: Vacation Fund is an employer-matched travel savings program for employees, incentivizing them to put money aside and take meaningful vacations every year. Vacation Fund is a research-backed benefit for employees. The program allows employees to direct a portion of their paycheck into a separate Vacation Fund Account, and allows employers to match a portion of the contribution. Not only does this make employees’ dream trips more financially attainable, but it encourages them to periodically take time off to disconnect, rejuvenate, and experience something new.